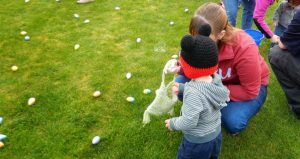 Each year the Ocean Shores Firefighters' Association puts on an Easter egg hunt at the Ocean Shores Elementary School's nice large field. An adult Easter egg hunt will follow the kid's, it will be $25 for adults to enter. 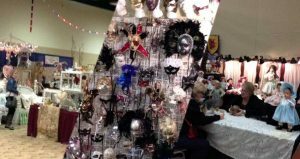 Creatives, vendors, entrepreneurs convene on the Convention Center to give you a lot of shopping options. 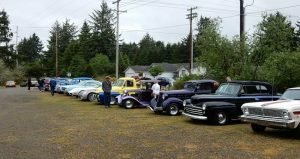 This annual classic car event will be held at the Ocean Shores Elks Lodge. This is a retail gift and treasure show at the Convention Center. Some proceeds go to the local food bank. 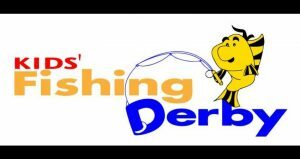 There will be entertainment, a treasure hunt, and many one of a kind items available for purchase. 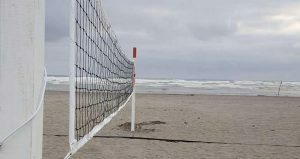 If you love old fashioned cars then you will love the joint effort between the Pushrods of Hoquiam and Quinault Beach Resort and Casino to host a great classic car show. There will be two days of music, food & drink specials, door prizes every 15 minutes, and of course a classic car show. There is also a poker run on Friday. One of the only flag day parades in Western Washington. Over 75 entries will be featured in the parade. 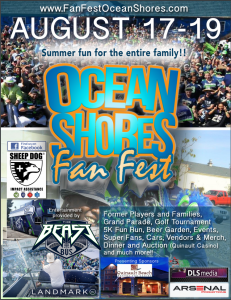 12's Fan Fest and Beach Party is Ocean Shores' Seahawks football season kickoff party. This event is a big fan celebration and beach party open to everyone to support the upcoming Seahawk football season. You can look forward to: Live music Food Vendors A parade A tailgate party Pub crawls Special guests For complete details and specific schedules check the event website. All skill levels are welcome to kayak, canoe, row! There will be races, games, and seminars. Handmade quilts from the Sea-Pal Quilters of Ocean Shores. They'll also bring you vendors, demonstrations, and items for sale. 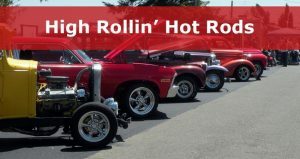 Join the Pushrods Of Hoquiam Car Club at the Quinault Beach Resort & Casino for days of food fun and great cars. Spooktacular 1st Annual Halloween Gala, a fundraising event, where there will be live and silent auction items, heavy hors d'ouevres, cash bars, live music courtesy of Raucous, and a costume contest with $1,000 in prize money! Tickets are $35 a person, which can be purchased at the Chamber office located at 114 E Chance a la Mer, Unit 100, over the phone by calling 360-289-2451, online by clicking the link below, or at the door (limited tickets will be available). 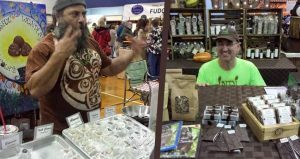 The Ocean Shores Convention Center will be transformed into the Gore at the Shore Dark Market. 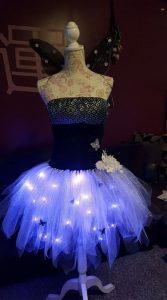 Goth artists create a great selection of dark vendors with everything from clothes to toys, home decor, books, costumes, art, cards, crochet, and more! View list of vendor info on the Facebook event page. Schedule 10:00am to 5:00pm both days. 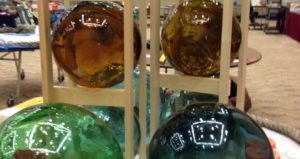 Over 60 vendors come together at the Convention Center to bring you a variety of interesting antique finds. Quartet Champions of the Evergreen District present THE best barbershop show of 2019 at the Ocean Shores Convention Center. 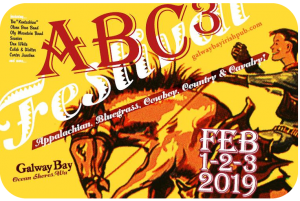 2019 is the 32nd annual Beachcomber's Fun Fair! 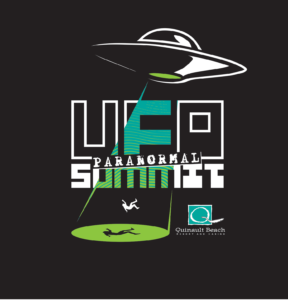 There will be informational booths, exhibits, and seminars in the Ocean Shores Convention Center. Sunday morning guided beach walk. Dugan's Fun Run is a family friendly fun run held annually in March since 1984! There are runs for all ages starting with Kids Dash for toddlers and up. There is a "One Miler" race, and then more traditional 5K and 10K races followed by an awards ceremony. 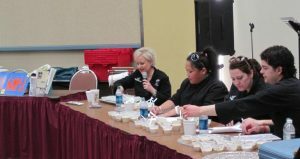 Everyone entered in an event is eligible for one of dozens of prizes given away at the awards ceremony. 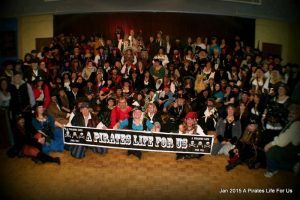 Excess proceeds are donated to Grays Harbor Volunteer Search and Rescue.